I didn’t really expect that this project, which is honestly one percent of my lab, would get more attention than the rest put together, which is fine. You want to engage the public on whatever aspect of science they won’t deny. In the past four decades, Dr. George M. Church, a Professor of Genetics at Harvard Medical School, has revolutionized genome sequencing techniques and helped develop the DNA-editing technology CRISPR. Over the last 10 years, he has launched 15 bioengineering startups and published a book called “Regenesis.” His lab encoded the text of the book into DNA molecules in what was at the time the largest amount of information data stored in DNA. Since 2015, he has been working to resurrect the woolly mammoth. His de-extinction project aims to genetically introduce woolly mammoth traits—subcutaneous fat, thick hair, and hemoglobin adapted to the cold—into the genome of the Asian Elephant, which already shares 99.96 percent of woolly mammoth DNA. 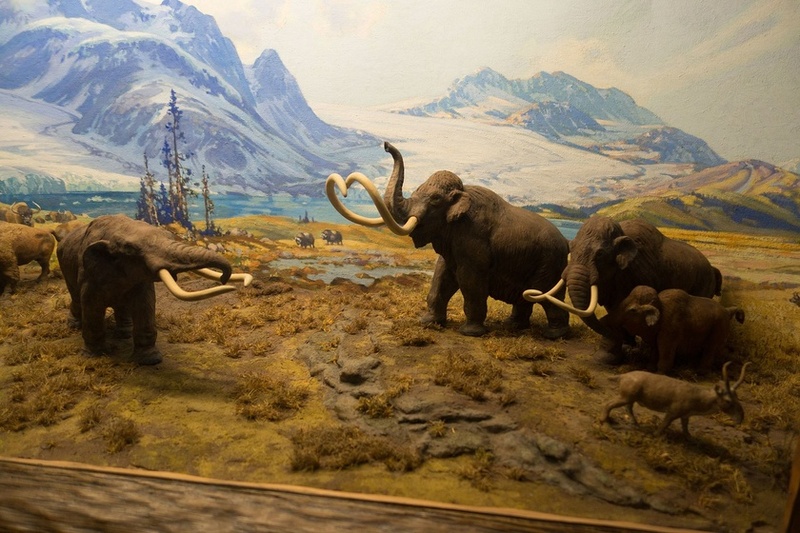 The end goal is to repopulate the north Eurasian tundra with mammoth-like animals. Researchers predict that the grazing activities of these large animals can help restore the tundra to an arctic grassland, thereby preserving the earth’s permafrost and preventing the dangerous release of greenhouse gases. Plus, there will be mammoths. FM caught up with Church on an early Friday morning. FM: De-extinction seems like one of the more complex, multi-step approaches to fighting climate change. What makes pursuing this project worthwhile? GC: What’s at risk is about 1,400 gigatons of carbon in the soil, and then a similar amount in methane, sort of on the edges of the ocean. To put that in perspective, either one of those being released is equivalent to burning all the forests twice, and that’s all comparable to the amount of carbon that’s already in the air. We’ve got a bunch of proposals for slowing things down: solar panels, windmills. But what we need is a way of reversal. That’s kind of similar to the message of reversal of species. It’s hard to get the team motivated [by saying], “We’re going to lose, it’s just a matter of whether we’re going to lose tomorrow or the next day.” But if you say, “Look, everything that we’re up against can be reversed,” then that’s a completely different story. FM: How much progress have you made? When does your lab expect to repopulate the tundra? GC: People like to ask the question that has the hardest answer, which is timeline. With the mammoth, the two genes that have been fully de-extincted are hemoglobin and TRPV3. It is just turning the crank, in a way—once you’ve shown you can do it for two genes, just turn the crank for the rest. FM: What obstacles have you encountered? GC: One thing that we don’t think we need but we want is the ability to grow mammalian embryos outside the body of the mother. We’d like to do that for the elephant because we don’t want to interfere with the reproduction of an endangered species. That’s the real hold-up right now. FM: What ethical issues do you face? GC: One is, “Is this going to distract us from existing species?” This is really all about existing species. This is about making a tundra that is compatible with the kind of ecology that we humans want. Another is, “Aren’t the mammoths going to be lonely?” Well, they’re nearly identical genetically to Asian elephants so they can be raised with Asian elephants, but I think the biggest issue I’m continuing to worry about is the socialization. FM: How do you think the romantic, sci-fi appeal of this project has influenced its course? GC: I didn’t really expect that this project, which is honestly one percent of my lab, would get more attention than the rest put together, which is fine. You want to engage the public on whatever aspect of science they won’t deny. FM: If you could see one species besides the woolly mammoth walking the earth again, what would it be? GC: I would love to see the oceans full of whales again. There were many, many more whales than there are now. That’s not de-extinction necessarily, but de-extinction is more about genes than it is about species. And it could be that there are certain genes we need to bring back to make them healthier, or maybe the system needs to be engineered slightly to make them healthier. I would love to see the ocean full of these giant, intelligent animals. We keep looking for intelligent life in the universe; what we really should be doing is talking to what’s around us.